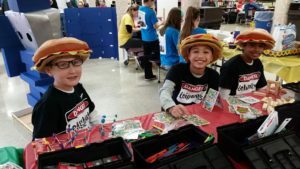 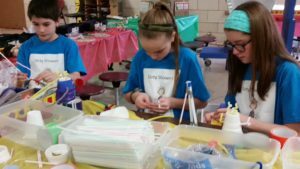 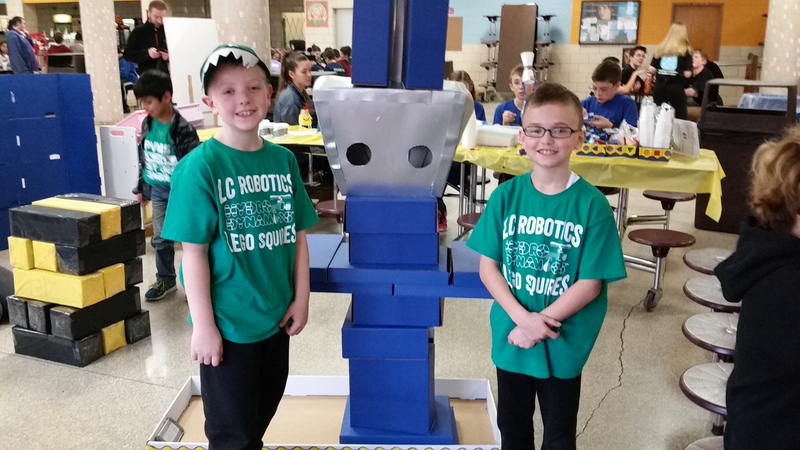 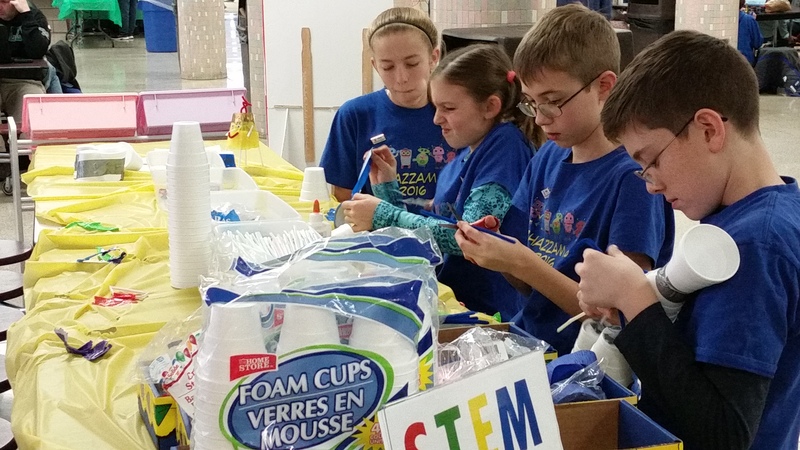 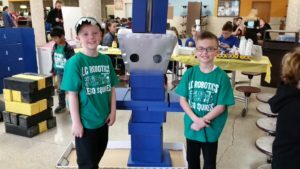 In 2017, the Fighting Robovikings – Team 2607 introduced “STEM CENTERS” at their annual FLL Qualifying Tournament. 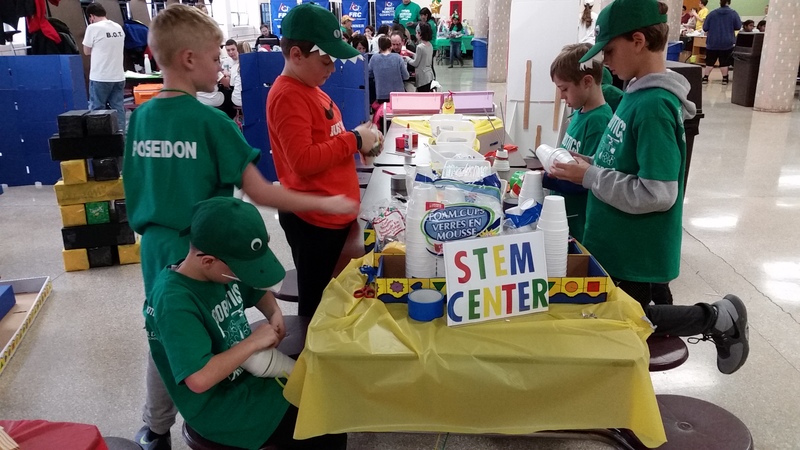 The Robovikings opened the STEM CENTERS for kids to have a small break from that day’s FLL competitions. 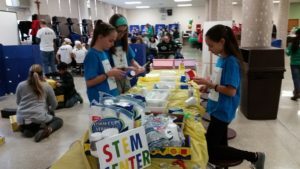 It was designed for STEM crafts, games and activities to keep the children engaged. 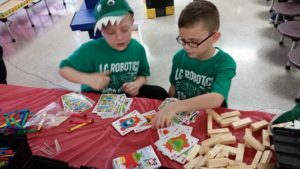 No fee was required and everyone was invited (the children competing, siblings and friends). The plan is to offer the STEM CENTERS all every year at the team’s annual FLL Qualifying Tournament event.